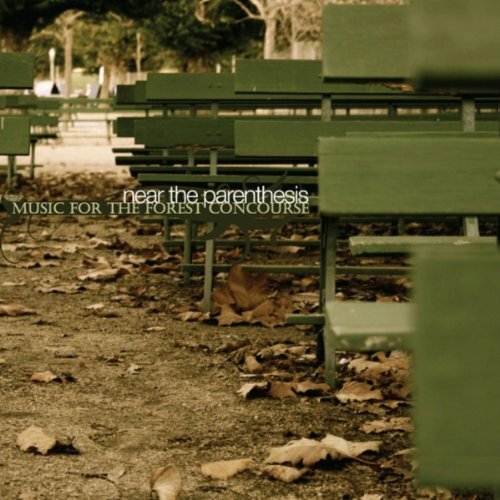 Near the Parenthesis returns with "Music for the Forrest Concourse". Tim Arndt's fourth album for n5MD. Perhaps becoming a theme, Arndt again uses the concept of place as the muse for an album. An approach adopted with 2008's "L'Eixample" where Barcelona served as the inspiration. Time, however, is the inspiration for the current release and as a result Music for the Forrest Concourse is more imaginary. Arndt wrote this collection of music 'for dusk, for open air, for sitting down, and for breathing in. It is music for staring upwards and listening attentively or casually.' However you choose to listen Music for the Forrest Concourse will provide many rewards.